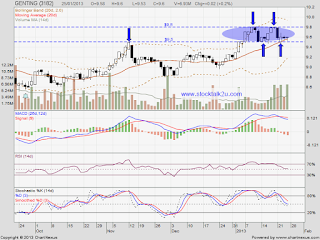 GENTING is retest MA20 support level. 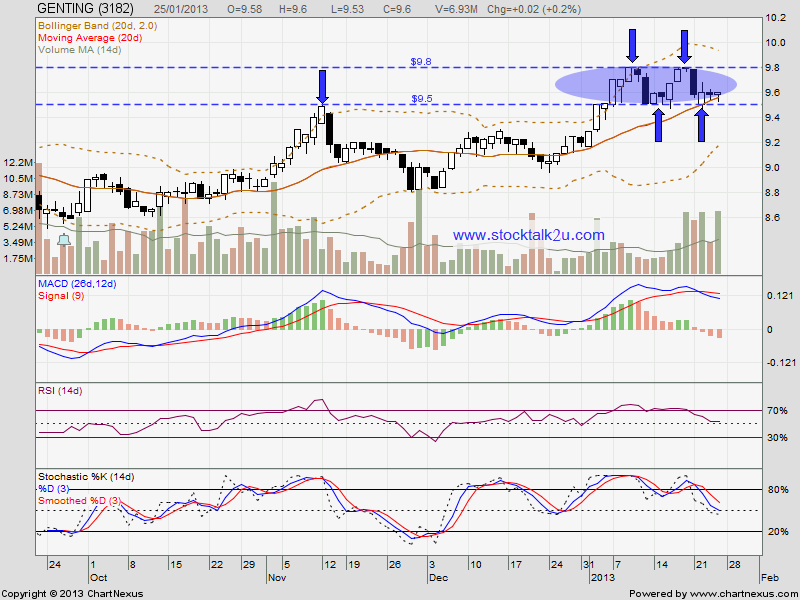 If rebound, RM9.80 would be immediate resistance level. If break down, next support would be MA200 support level.